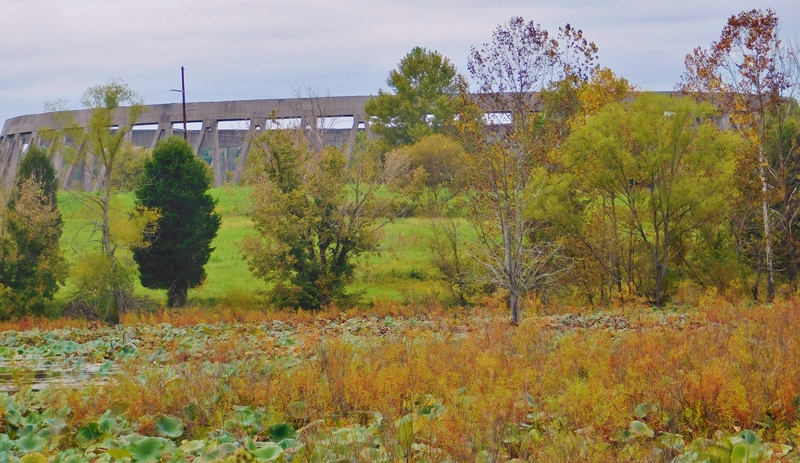 Phipps Bend Wildlife Area–by never completed TVA nuclear plant. 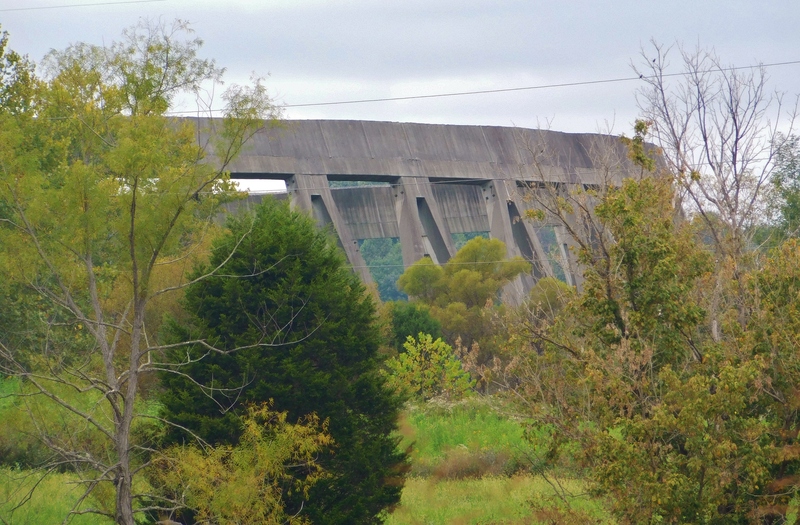 Located along the Holston River near Rogersville TN Phipps bend is a small refuge with a gravel hiking trail with interesting wildlife, scenery, and eerie ruins of an abandoned nuclear plant. Here is the start of the trail. 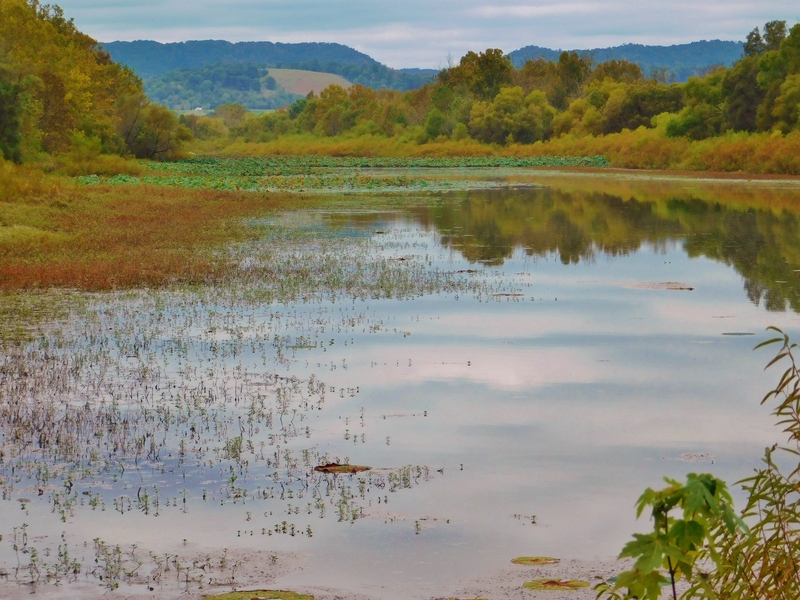 Next is a pond whether it is entirely natural or was dug or enhanced to be part of a cooling pond for the nuclear plant is unclear. either way it is a pretty spot. Here rising like some modern age Stonehenge is the ruins of the Tennessee Valley Authority (TVA) nuclear plant construction was halted in 1984. The deer don’t seem to care though I saw 8 white tail on a 4 mile hike so 2 deer a mile isn’t bad. and it provided for some interesting shots along the way. looking up at the high tension lines the framework of the towers looks like a star shape. This entry was posted in adventure, exploring, Landscape & Scenic, Wildlife and tagged abandoned, backpacking, hiking, ruins.tva, scenic, wildlife. Bookmark the permalink.